dont NEED spacer, you will need special lugs. Washer style lugs or they will fall off. Have a pic of this lug? So it didn't have the bevel? 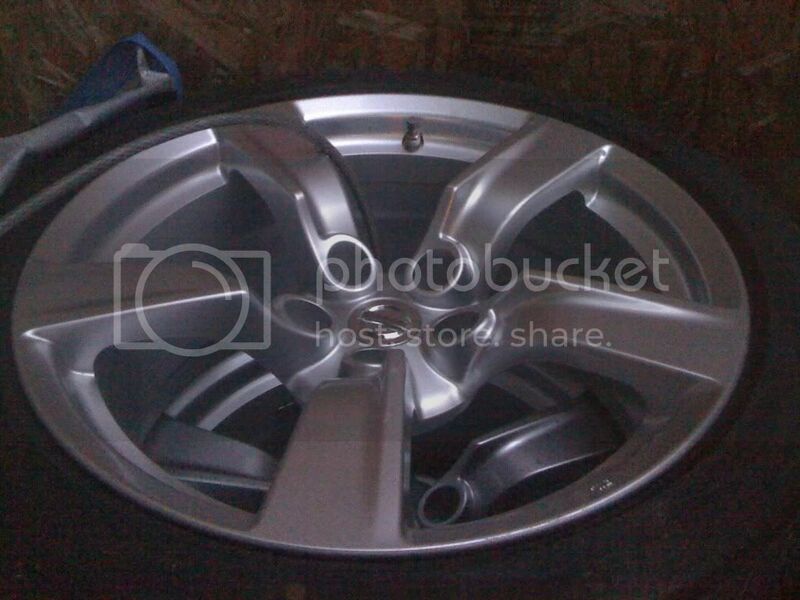 yups , g37 and 370 wheels need the OE lugs... or ones with a lip on it..
Ok I found 370z lugs for $6 a piece wth! That's $120 for lug nuts. Any one know cheaper place? Hopefully the guy will have the factory lug nuts. If not I'm gonna roll home on the acorn style and try to find the correct lug at autozone or something. Its the AM... No pics by noon = BANN!!!!. Wanna sell your wheels for $700 to me? For some reason these look small on max's. 1 hour before the ban. eh eh ehhhhhh eddy im gettng dressed now and headed out to get them so give me about 2hrs foo! Not everyone is as skilled & patient as you. Gotta start somewhere. I thought they would look small, but seeing these on another 6thGen made me think twice. 60 Second countdown to ban! !